Our Tennis & School programme offers our young students high-level academic and sports tuition, allowing them to combine year-round intensive training and tournaments with an adapted school curriculum. Our aim is to ensure well-rounded pupil development in both school and sport, giving them the tools to either join the pro circuit or combine studies with sports on a university programme in the States. To achieve this, our teaching extends beyond the court and the classroom. It also aims to make young people more independent and teach them about hard work and the meaning of sacrifice. 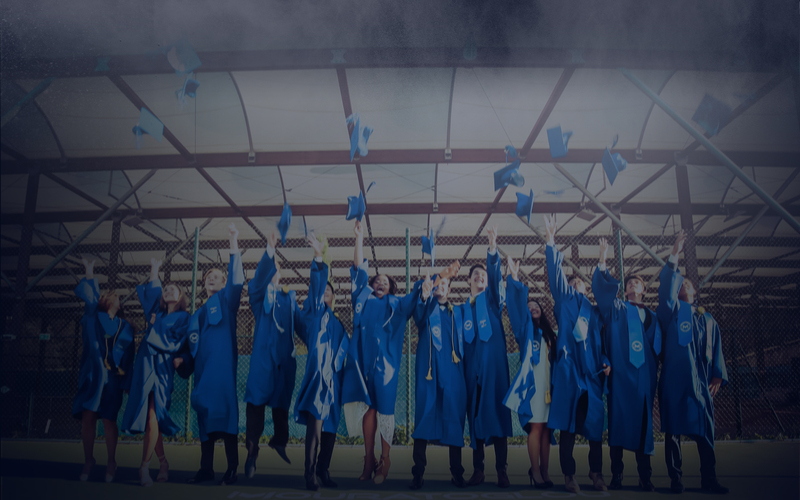 When their training ends, our students will have become responsible adults with the potential for a highly successful career as a high-level athlete or in the business world thanks to their university degree. Here at the Mouratoglou Academy, we don’t just train tennis champions: we prepare students for life. Although tennis has always been a priority for us, we apply the same philosophy and the utmost care to our students’ education, resulting in a 100% High School Diploma pass rate over the past three years. What’s more, as well as the values learnt through sport, we provide pupils with the learning and human resources essential to their development and well-being. The curriculum on offer at the academy has allowed our students to develop in a stimulating school environment for over 20 years. 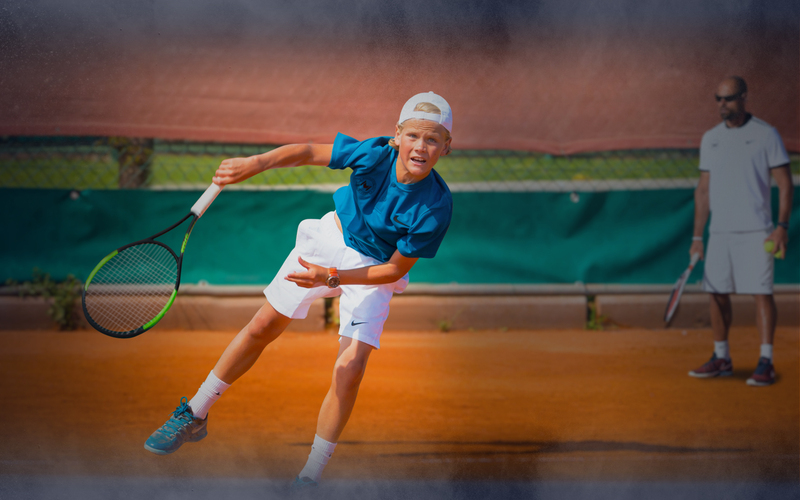 Our two courses – French and international – allow academy students from all over the world to follow a comprehensive educational pathway conducive to intensive tennis training. We also provide the learning resources required for their personal development. Our primary objective is to strike a balance between schoolwork and tennis. Our students progress in small classes and enjoy a special relationship with their teachers, who are there for their pupils. They enjoy constant supervision and a school programme adapted to their needs. The campus, courts and school are all located in the same resort. Every detail has been designed to offer our students the comfortable surroundings and facilities they need to flourish. Services include a 24/7 staff presence, nutritious meals, high-speed internet and air conditioning in the rooms. If it’s important to you, it’s even more important to us. The Mouratoglou Campus is very diverse, and home to young people from more than 35 different countries. The environment helps myriad cultures to thrive, and is a fantastic window onto the world. Students’ progress at the Academy is not limited to their on-court achievements: we also encourage them to grow as human beings. We do all we can to make players feel at home. Their safety and comfort are our top priority, and we have residential staff on hand to watch over students. Our 70 rooms come with bathrooms, lockers and extensive storage space. Students also have access to a laundry room, games room and TV lounge. Students’ meals are specially planned to meet the nutritional needs of athletes. We also cater to specific dietary requirements (e.g. gluten-free, allergies) and accommodate individual diets (on request). The Academy offers a comprehensive tournament schedule of 15 to 20 tournaments a year. These tourneys mainly take place on the French Riviera, which is a huge time saver and makes it easier for students to keep up with the academic programme. For players with the required level, the Academy will propose them to compete in some ETA and ITF international tournaments. In summer, students can maintain an intensive competition schedule by taking part in our summer tour. During tournaments, players are always mentored by our coaches, whom they debrief every match with. Parents have access to the coach’s feedback for every match. This way they can follow their child’s progress and be a part of their project. The applicant’s parents have to contact our tennis and school programme manager, Alexis Catillon, to talk about their child’s project and assert its relevance. Every applicant has to come to the Academy for a week of selection tests. 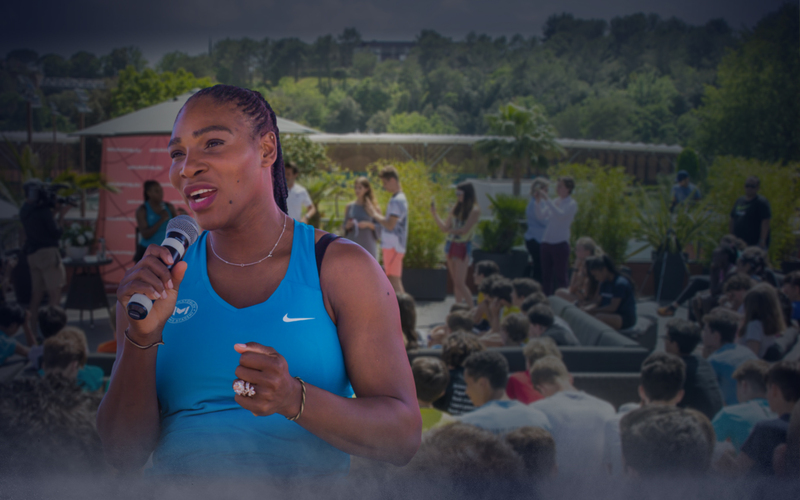 The following week, the tennis and school programme manager calls the family to announce the Academy’s decision. The Academy gives you access to a registration form, which once filled, will validate the registration of your child into the tennis and school programme.